Many homeowners are just now discovering is the benefits of installing custom replacement windows. By creating personalized window designs, you can transform your home into a sanctuary that reflects your personal style and taste. By the time you factor in types of materials, colors and styles, you’ll discover an almost endless list of choices. To begin narrowing down your options, consider your home’s architectural style, trim colors, your taste, and finally, your budget. 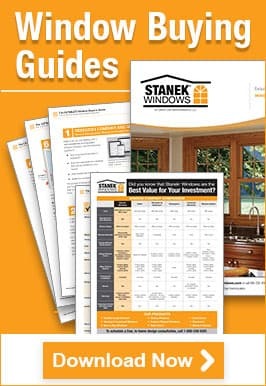 When deciding on the type of window, it can be helpful to browse websites or look at samples at a Stanek® Windows location near you. The options are endless when looking to replace your home windows. 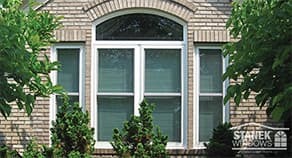 Vinyl replacement windows are a popular and affordable choice and are available in many colors and styles. Vinyl windows are easy to clean and offer protection against outside noises and temperature fluctuations. In some locations, the climate can quickly change from warm to cold, which can affect your heating and electric bills. With a professionally-installed window from Stanek®, you’ll barely feel the change. Double-Hung Windows: These windows have two sashes and are rectangular in shape. To open, you can slide these windows up and down. Sliding Windows: These windows have two or more sashes and open by sliding horizontally along grooves in the frame. A sliding window is basically a double-hung window turned on its side. Awning and Casement Windows: Both of these windows operate on a hinge. Awning windows are hinged at the top and swing out, and casement windows are hinged on the side and can open to the left or right. Bow and Bay Windows: Bay windows consist of three window units that project from your home in a variety of angles. Bow windows are rounded bay windows that project from the wall in arc shapes. Bow windows can consist of three to six sashes, although five is most common. 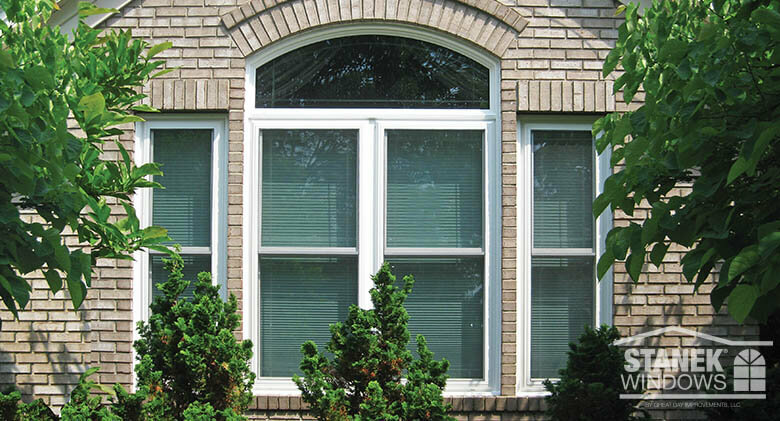 Stanek® Windows custom manufactures replacement windows to fit any shape or size of opening. The windows also include full screens, which allow you to open them when the weather is nice and enjoy the cool breeze. While your windows are closed, they protect you from the elements, and the low-profile, double-cam locks ensure safety. 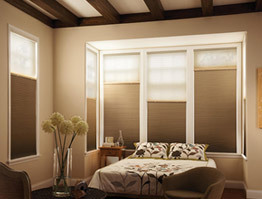 The right window covering can complete your custom window design. Try to choose subtle colors that accent nearby rugs, furnishings or wall color. Also, think about how much natural light you want in the room. Darker or heavier fabrics will keep light out, while lighter colors and fabrics will allow more light into the room. Want to learn more about customizing your replacement windows? Schedule your free in-home estimate online or call 1-800-230-8301.